In communications seminars and workshops I often borrow an illustrative story from somewhere in my past. It goes like this. Imagine driving down a country road and spotting a sign on the roadside – seen here. I ask the audience if it appeals and fairly represents the product in a very simple and direct way? The answer is always affirmative from most. One could safely assume that the sign was hand brushed by a country farmer and that the eggs would be natural and more likely to be fresh. So why should we make such assumptions from a simple and basic sign like this? My guess is that most people see the sign as entirely congruent with their expectations and that it just looks honest. 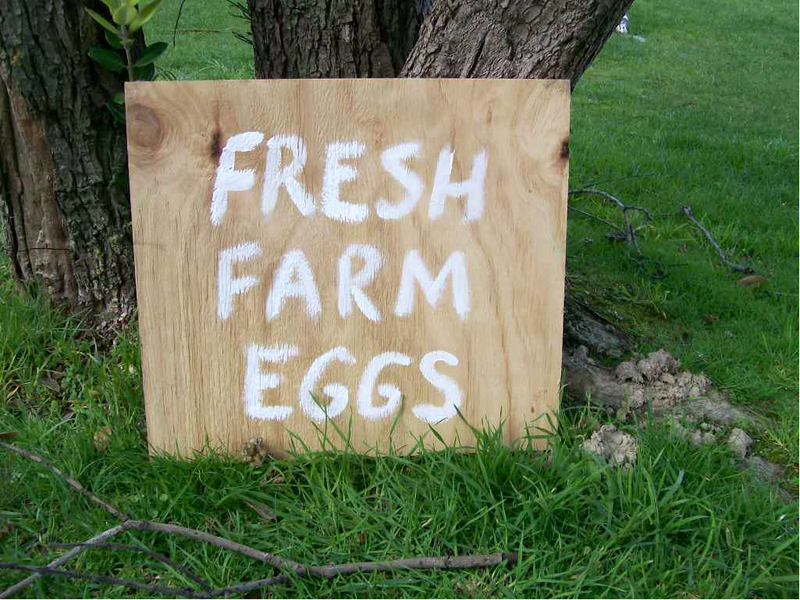 The fresh farm eggs must have been produced by real farmyard hens, which are nurtured by someone who should not be expected to worry too much about her sign writing. Now let's drive on a little further down the road where we come upon this sign. Again we will probably feel comfortable with this very different sign. 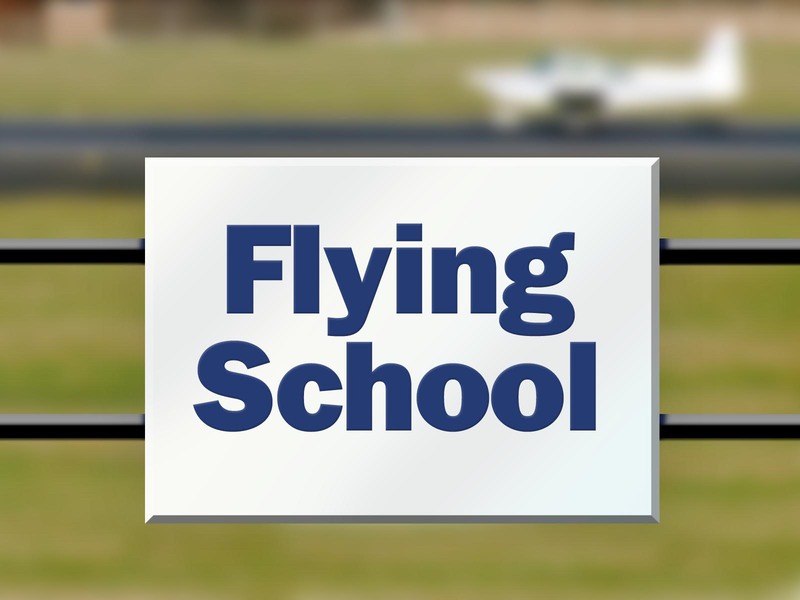 That's likely to be because our expectations and preconceptions are vastly different for a flying school. Safety and concerns about risk are likely to be preeminent and, at the very least, we probably expect the school to be very professionally operated by people who can demonstrate due care and precision. Now scroll to the bottom of this page and tell me if you think the sign is appealing and appropriate? I enjoy presenting these simple illustrations in workshops because it always prompts responses. Questions and observations emerge from peoples' experiences of all kinds of communication and often the debate about how different people respond to messages emerges. 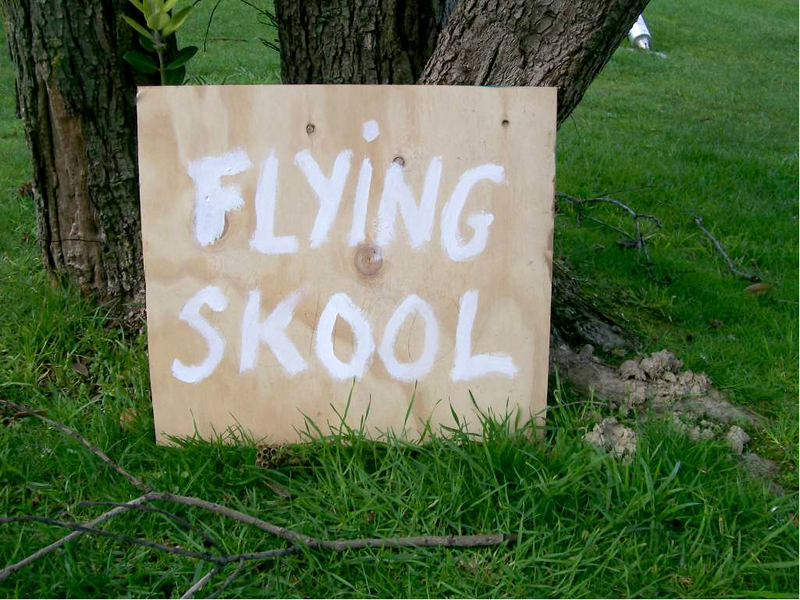 For example a woman once suggested that she would certainly prefer the 'Farm Eggs' sign if it were rendered in the style of the flying school. However she then revealed that she did not like the idea of free-range eggs, preferring the factory farm approach. This simply underlines the need to understand your audience as crucial to success. If the 'Farm Eggs' sign did not appeal to only one person in 10, we should mark that as a success if enough of the remaining 9 actually stopped to buy eggs. The story makes the point using a very simple example. Of course in reality, communications are invariably far more complex. But, provided you happened to like free-range eggs and you were driving by the 'Farm Eggs' sign, it's a safe bet that the message, targeting, timing, method and use of resources was spot on. It's interesting to speculate what peoples' reaction to the 'Farm Eggs' sign might have been if presented on a 10 metre wide neon sign. Of course, that would be most inappropriate and out of step with the five principles, unless the sign was in the countryside, not too far from Las Vegas. But then that's what many practitioners do in communications and marketing... because they think that's how it should be done. Original generation time 1.6272 seconds. Cache Loaded in: 0.0180 seconds.